A game about being different in a different place. Migrant Stories is a creative tool for telling a realistic, collaborative story from the perspective of people of color and minorities. There are no dragons or wizards in Migrant Stories, but there’s plenty of mystery, dirty wonder and intrigue. 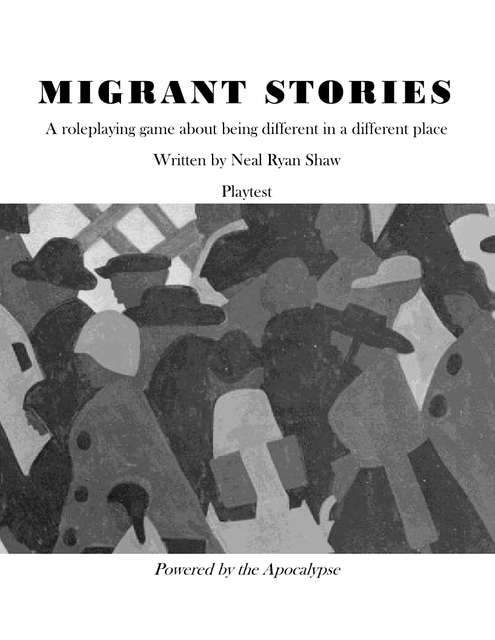 You’ll tell the story of newly or not-so-newly arrived immigrants in a curious, Western, Industrial civilization, probably around the turn of the twentieth century, and explore the obstacles they face in pursuit of glory, profit or redemption.